These days you’ve been working hard every day, huh! I was told by Hideyoshi to send you a reward, so I’m sending you one. Take it gratefully! 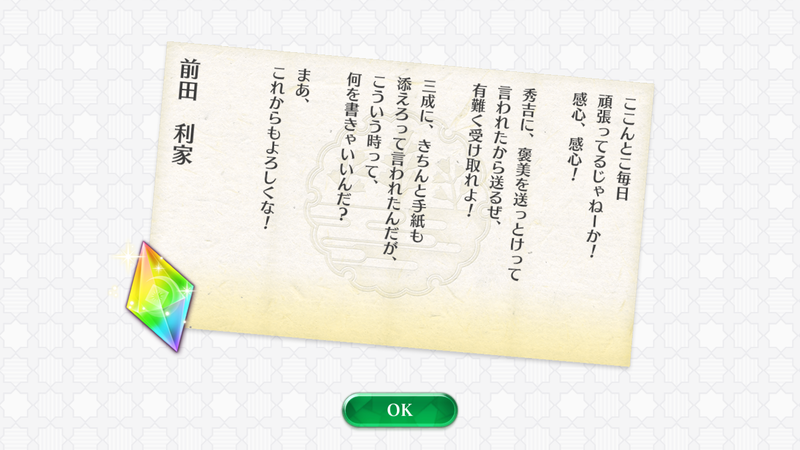 I was told by Mitsunari to add a letter properly to it too, but what should I write? Well, anyway, thanks for your support from here on too! 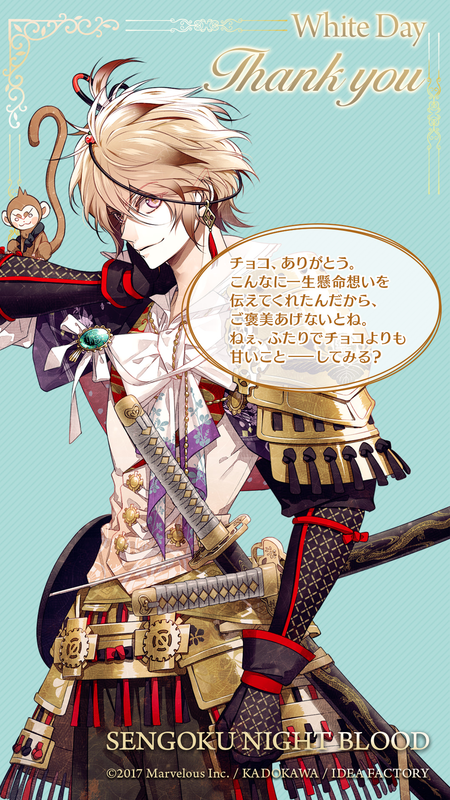 This entry was posted in Collaboration, Otome Games, Sengoku Night Blood and tagged Kadokawa, Marvelous!, Mobile, Otomate, SNB Toshiie. I was on standby with Hideyoshi-san at the main camp when news entered my ears about Toshiie-san having sustained a serious injury. 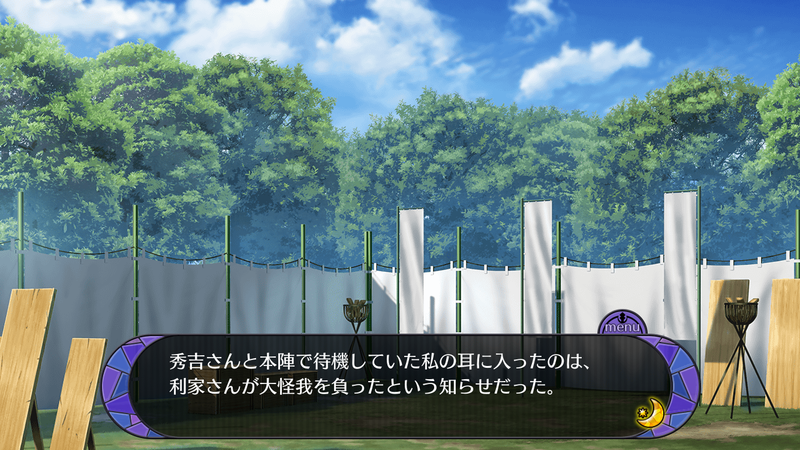 This entry was posted in Collaboration, Otome Games, Sengoku Night Blood and tagged Kadokawa, Marvelous!, Mobile, Otomate, SNB Toshiie, Yamamoto Ikkei.